Apple Smart Cover on front. Targus clear case for the back. I like the Targus clear case on the back because it’s see-through so you can still see the iPad’s nice design, but even more because it protects the iPad from scratches and it adds a lot of extra grip compared to holding the iPad completely naked. 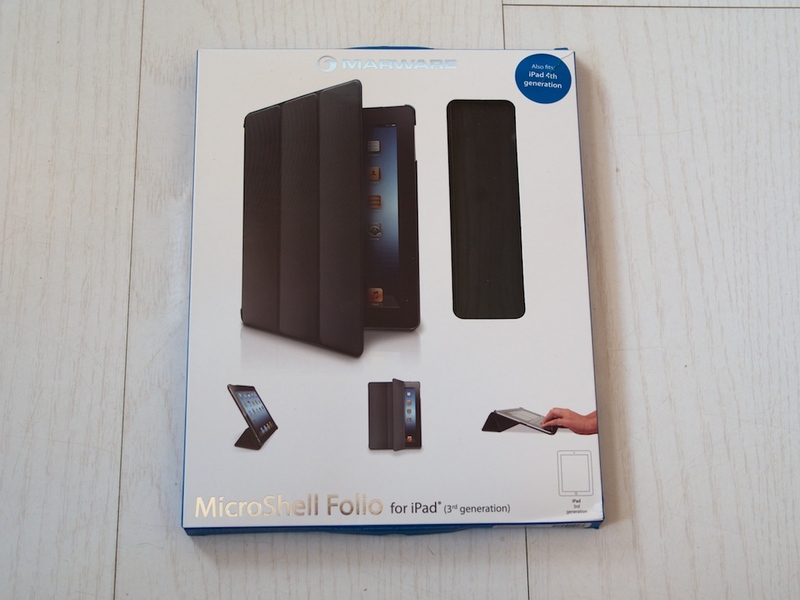 Although I’ve been happy with it, I decided to go a different route this time and went with a “MicroShell Folio” from Marware, at £24.95 from UK. Snapping the iPad into place was a breeze and it feels very secure. Overall, this case does not add any significant bulk compared to my old iPad setup, a little, but nothing to worry about. It feels great because of how slim the case is and how durable the case is, plus you have a really good grip on the case because of the rubbery materiale it’s made of. The MicroShell Folio offers cutouts for camera, speaker (including protection grille), volume buttons, headphone jack and dock connector. 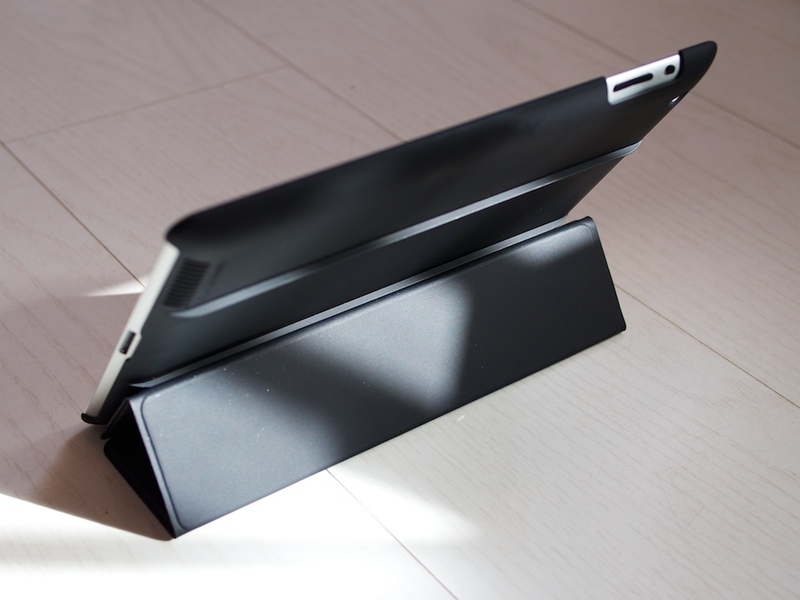 Typically for a [tp lang=”en” only=”y”]case for iPad[/tp][tp not_in=”en”]case for iPad[/tp], this one also allows you to turn it into a stand, that supports basically two modes, that I like to call “typewriter” and “watching”-mode. Typewriter mode is when the iPad is slightly raised in the rear (1st photo below), which makes it a bit easier to type on it, compared to when lying flat on a table. Movie-watching mode is when the rear is raised even more (2nd photo below). It took me a few tries to convert the case into a “watching”-stand, but once I read the manual and figured it out, it was no longer a big deal. You will fold front cover into a triangle and make it rest on one of the two ridges on the rear, depending on what kind of stand you want to convert it into. Just make sure that it’s “secure”, ie. 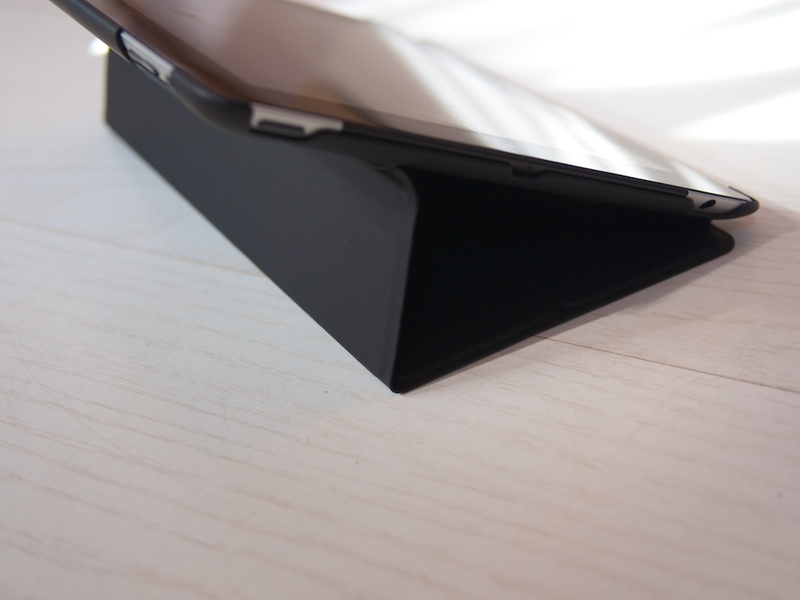 that the triangle has “snapped” into the ridge, as it might otherwise jump over the ridge when you let it go, and the iPad will fall over. It’s not the best system in the world, but I’ve seen worse. 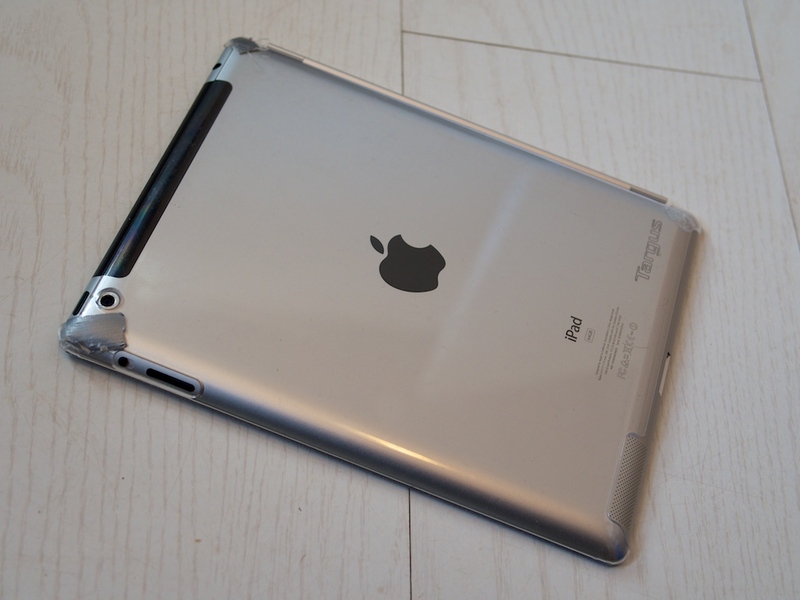 Compared to the Apple Smart Cover, this method is more solid and secure – once you get it setup properly, this especially applies to the “watching”-mode, as it provides less support to hold the iPad upright, than the typewriter mode. One downside to the whole deal about folding the front cover into a stand, is that you are exposing the “screen-side” of the front cover, to whatever dirt is on your table/tray. 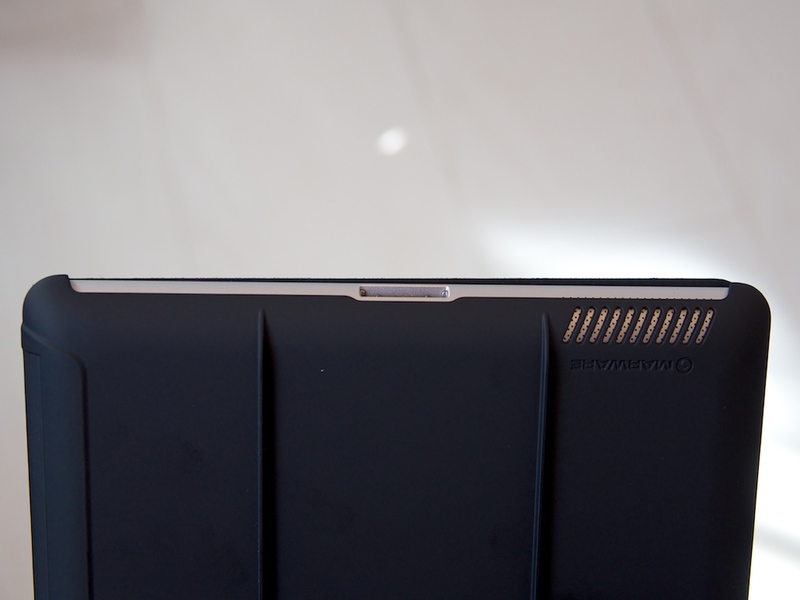 The Apple Smart Cover is smarter about this, it is designed so the inside of the cover only ever touches the screen. 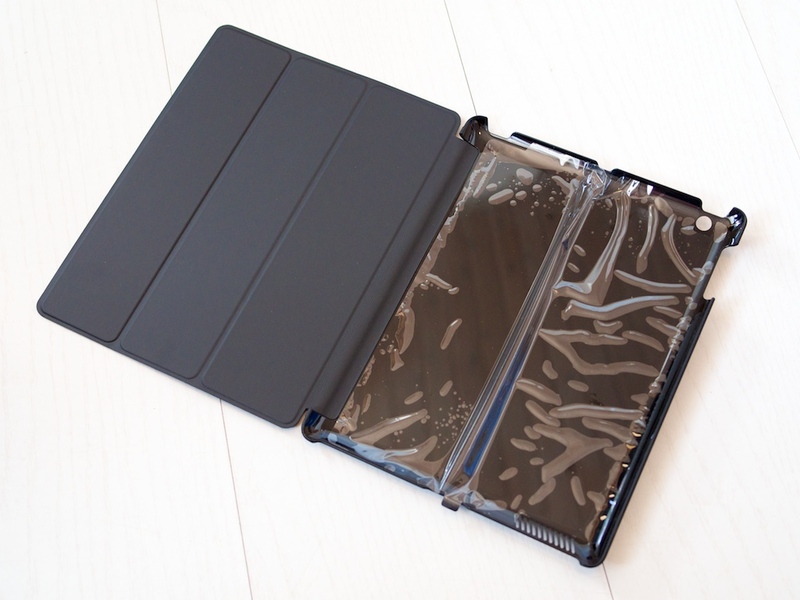 The iPad screen itself is rather durable, but if you are going to use this case on dirty tables or public trays that might not be super clean, you might just want to wipe over the front cover with your hand to get rid of any small debris, before you close it over your precious touchscreen. Like the original Apple Smart Cover, the MicroShell will also not “hold on” if you turn your iPad upside down, because the magnet(s) is just slightly too weak to keep up with gravity. But this is a minor nuisance, after all, we don’t usually carry around our iPads upside down without having a finger or two on the bottom, so the cover does stay closed. Also like the original Apple Smart Cover, the MicroShell has “automatic sleep/wake lid”, so it will turn on the screen as you lifts the cover and automatically sleep the screen again, once you put the cover back in place. Nice! 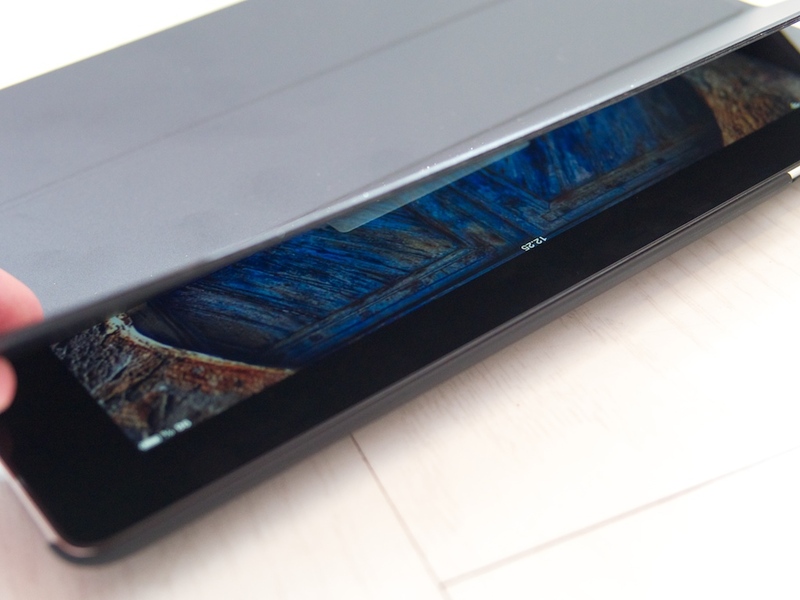 This case is just stunning. . Will suit my ipad . . cheers for your review. .
Marware makes some decent cases, I did a review of an iPad 2nd generation one a few years back, I recently had my staff contact them about reviewing some Kindle HD 8.9″ cases too. Very reasonable priced and can find some decent prices on Amazon. 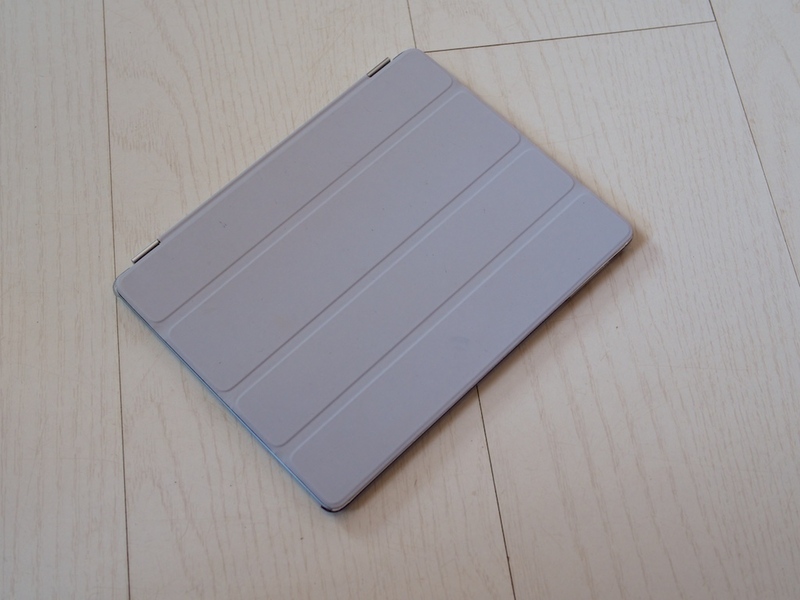 Nice review dude on iPad case. I have a Tecknet Premium Folio case and would never consider switching. 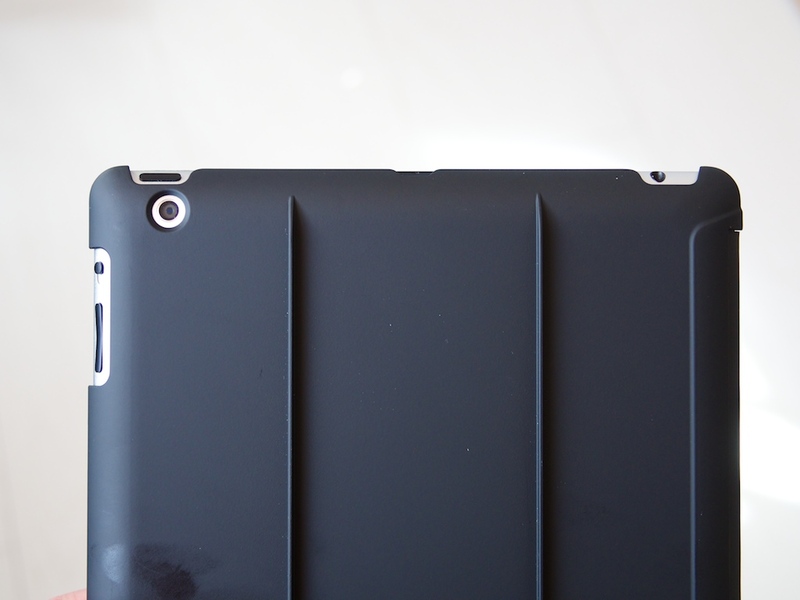 I think it’s important for the case to protect the back of the Ipad as well as the screen. 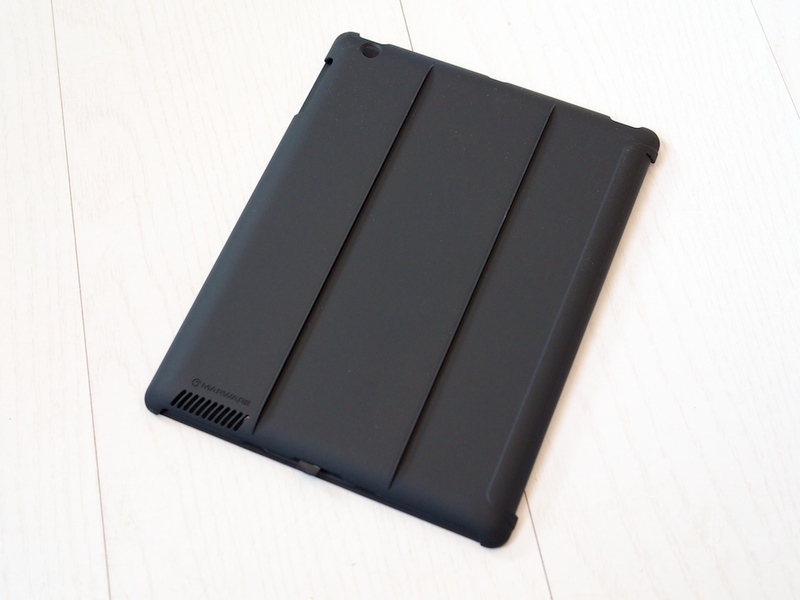 I also like how the Technet case makes the Ipad look like a nice leather folder rather than an Ipad – I like to have the technology disguised in classier case rather than a technical presentation. Looks like a great case! Thanks for the review. Looks pretty decent, Marware is a leader in manufacturing such things i think. Belkin and some other companies are good too.. thanks for this review. Awesome cases, awesome review. Thanks for suggesting this to us. Looks far better than the one from Apple and price is enticing. Is it sturdy? Looks like a decent cover, however I do not like the embossed lines on the back of it. I like smooth surface.